Burhou (pronounced ber-ROO) is a small island about 1.4 miles (2.3 km) northwest of Alderney that is part of the Channel Islands. It has no permanent residents, and is a bird sanctuary, so landing there is banned from March 15 to August 1st. The island's wildlife includes a colony of puffins (declining in numbers) and many rabbits. It has no landing stage as such, but visitors use a small inlet. In rough weather it may be impossible to land. The Guernsey botanist E. D. Marquand called it, "the most desolate and lonely of all the islands in our archipelago." He once had to spend the night there, as his return journey was delayed by fog. The States of Alderney member, John Beaman has political responsibility for the island. 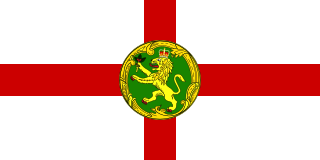 The States of Alderney is the parliament/council and the legislature of Alderney, part of the Bailiwick of Guernsey. The origin of the States is unknown, but has operated from the mediaeval period. The States of Alderney comprises ten Members, and a President of the States of Alderney, currently Stuart Trought who was elected in 2010 to replace Sir Norman Browse who retired after eight years of presidency. John Richard Beaman was formerly one of the ten States of Alderney Members, and he became the Chairman of the influential Policy and Finance Committee in January 2011. Prior to this, he was the Island’s Representative for Tourism. As well as chairman of the Policy and Finance Committee, Beaman was a member of the committees on Employment Legislation, and General Services, and the representative for agriculture, open areas, environment, wildlife, and the island of Burhou. Beaman's term of office ended in 2013. Despite being isolated, and inhabited briefly and infrequently, Burhou has a long history. Formerly, like the rest of the English Channel, it would have been linked to both modern-day England and France by dry land many thousands of years ago. Burhou, like many other Channel Islands (e.g. Lihou, Jethou), has the Norman suffix -hou , meaning a small island, from the Old Norse holmr. According to Dr. S.K. Kellet-Smith, "bur" refers to a storehouse – "Burhou is just the place where a fisherman would place a depository for his gear". Lihou is a small tidal island located just off the west coast of the island of Guernsey, in the English Channel, between Great Britain and France. Administratively, Lihou forms part of the Parish of St. Peter's in the Bailiwick of Guernsey, and is now owned by the parliament of Guernsey, although there have been a number of owners in the past. Since 2006, the island has been jointly managed by the Guernsey Environment Department and the Lihou Charitable Trust. In the past the island was used by locals for the collection of seaweed for use as a fertiliser, but today Lihou is mainly used for tourism, including school trips. Lihou is also an important centre for conservation, forming part of a Ramsar wetland site for the preservation of rare birds and plants as well as historic ruins of a priory and a farmhouse. Jethou is a small island that is part of the Bailiwick of Guernsey in the Channel Islands. It is privately leased, and not open to the public. However, signs of human occupation/visitation are much older. Flint flakes have been found on the island, and one is currently in the Alderney Museum. In 1847, F.C. Lukis found two standing stones, but these have since been lost, according to the archaeologist David Johnston. Flint is a hard, sedimentary cryptocrystalline form of the mineral quartz, categorized as a variety of chert. It occurs chiefly as nodules and masses in sedimentary rocks, such as chalks and limestones. Inside the nodule, flint is usually dark grey, black, green, white or brown in colour, and often has a glassy or waxy appearance. A thin layer on the outside of the nodules is usually different in colour, typically white and rough in texture. From a petrological point of view, "flint" refers specifically to the form of chert which occurs in chalk or marly limestone. Similarly, "common chert" occurs in limestone. According to the Assize Roll of the 14th century, Burhou was a rabbit warren, and a refuge for fishermen. As Victor Coysh deduces, this would have meant that there would have been some kind of shelter there, as it would be difficult for the fishermen to take refuge without it. A hut was built on the island in 1820 as a shelter for fishermen and sailors at the instigation of John Le Mesurier (hereditary governor of Alderney), but was destroyed during the German occupation of the Channel Islands (the Wehrmacht used it for target practice during WWII). The hut was replaced in 1953, with basic accommodation which is rented out to visitors by Alderney Harbour Office. Attempts have been periodically made to raise sheep there. In 1900, a French couple lived there for a year. The soil is thin, and spray frequently goes right over the island, ensuring high soil salinity. The island has no fresh water supply for much of the year, and has to rely on shipments, or formerly tanks. The island's animals are mainly of the avian variety, although rabbits are long established here. The island has many puffins and some storm petrels. Although the latter have declined, they used to nest in the cottage's storm loft. Roderick Dobson in Birds of the Channel Islands said that puffins had been plentiful for over a century. The Birds of Guernsey (1878) by Cecil Smith states likewise. The puffins have had to compete with gulls, and in 1949, hundreds died from red mite infestation. The rabbit holes on the island make good nesting for them. Amongst the plants noted here are sea spurry, forget-me-nots, scarlet pimpernel, field bugloss, bracken and nettles. E. D. Marquand noted a mere 18 species of plant here in 1909, but by the late twentieth century, Frances Le Sueur and David McClintock found 45, which they wrote up in the Transactions of La Société Guernesiaise. Les Casquets or (The) Casquets ; is a group of rocks 13 km northwest of Alderney and are part of an underwater sandstone ridge. Other parts which emerge above the water are the islets of Burhou and Ortac. Little vegetation grows on them. Ortac is a small uninhabited islet about 5 kilometres west of the coast of Alderney near to the islet of Burhou. It measures roughly 50 by 70 metres, and rises 24 metres above the sea level. Auregnais, Aoeur'gnaeux or Aurignais was the Norman dialect of the Channel Island of Alderney. 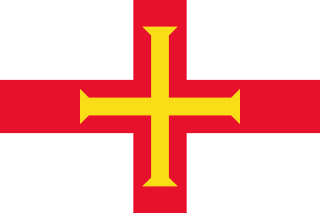 It was closely related to the Guernésiais (Guernsey), Jèrriais (Jersey), Sercquiais (Sark) dialects of the neighbouring islands, as well as Continental Norman on the European mainland. St Anne or Saint Anne is the capital and the main town of Alderney in the Channel Islands, located about 10 miles (15 km) off the coast of Auderville in the Manche department of the Normandy region of north-western France. As of 2010, it has an estimated population of 2,000, compared to an estimated 2,400 who actually live on the island; they have traditional names such as "vaches" and "lapins". The town has the old world charm of a French town, with cobbled streets, cottages, restaurants, houses, residents and pubs. It dominates much of the island, almost extending up to the Braye Harbour to its north, which is the main port of entry to the island and the town. It is located on a high ground at the centre of the island on the northwest direction. Braye Harbour is the main harbour on the north side of the Island of Alderney, in the Channel Islands, a dependency of the British Crown. A 3,000 feet (910 m) break-water was built by the Admiralty to protect the Navy in the 19th century shelters Braye Harbour. It is an artificial harbour created by building a pier or jetty. The harbour faces out onto the Swinge, which is part of the English Channel. It is here that most of the island's freight comes in. It is more or less a suburb of St Anne, which is a large settlement in Alderney that juts out on a rocky promontory on the west side, approximately 1 mile from the harbour. The Ecrehos are a group of islands and rocks situated six miles (9.6 km) north-east of Jersey, and eight miles (12.8 km) from France. They form part of the Bailiwick of Jersey and are administratively part of the Parish of St. Martin. There have been two railways within the state territories of the Bailiwick of Guernsey, a British Crown Dependency comprising six inhabited islands. The Alderney Wildlife Trust is a trust based in Alderney, Channel Islands. This is a list of books in the English language which deal with Guernsey and its geography, history, inhabitants, culture, biota, etc. Oscar Grosnez Corbière Claud Puffin, known as Oscar Puffin, is a television station mascot for ITV Channel Television. Oscar was the star of the birthday greetings programme Puffin's Pla(i)ce and was the last remaining ITV regional mascot to have an on-screen presence. His show was on television from 3 March 1963 until 15 September 2013. After the Wehrmacht occupied the Channel Islands on 30 June 1940, they assessed the existing defences to determine if they would be of use. The Germans found the Islands' fortifications antiquated and woefully inadequate for modern warfare. Air Alderney Limited is a proposed airline to serve the island of Alderney, part of the Bailiwick of Guernsey in the Channel Islands. The airline is based at the island's only airport, the States of Guernsey-operated Alderney Airport. Air Alderney was founded on 31 January 2017, and is scheduled to commence operations in September 2017. The company's logo displays a puffin, a wild bird found in the Channel Islands. The puffin will also be the theme of the airline's livery. ↑ "Alderney West Coast and the Burhou Islands". Ramsar Sites Information Service. Retrieved 25 April 2018.